Revel in me...: Wedding updates: Part 2. For Part 1 of wedding updates, read here. We have been delaying this 'cause the boy is really busy with work, and couldn't find time off work to go to the National Registration Department to submit our application. Our plan is to invite the officiant to our wedding ceremony. But our application is a little tricky as we stay in different states (actually KL and Selangor only wtf)-- which means we have to submit our applications TWICE to the respective state offices. After talking to some married friends, they all recommended for me to change my IC address to be the same as the boy's, in order to only apply ONCE to one office. So a couple of weeks ago, I obediently went to get my IC address changed. And I didn't get to find time to collect my new IC till suddenly the boy announced that he was able to take one day off to get our ROM application done. So the plan was for me to head to NRD early in the morning to collect my new IC, and then we will go to apply for our ROM together. Thank god the man is damn calm. He suggested for us to head to Putrajaya (NRD's HQ), banking on the fact that the HQ will be able to accept applications from different states. We managed to submit our application, woohoo! One major to-do ticked off my wedding list man. Next step (after our application is approved) is to apply for the officiant to be present at our ceremony-- which is another unknown again, haih. 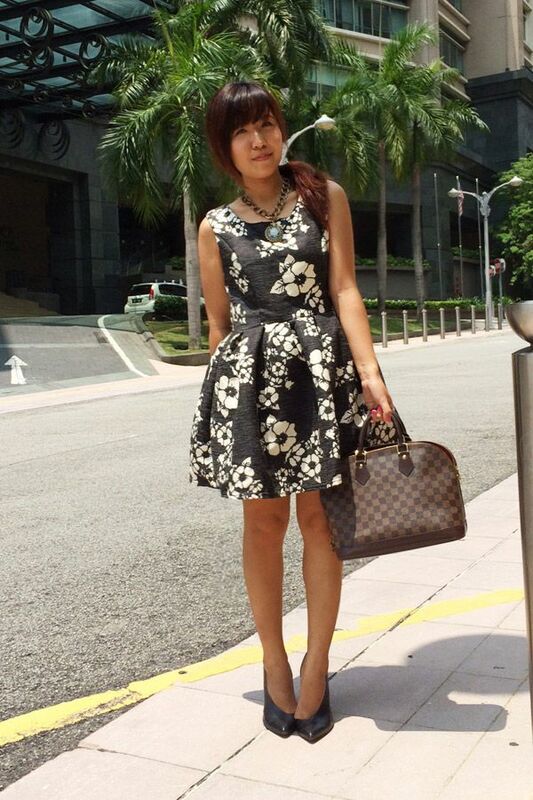 What I wore to NRD. Very proper right, haha. Hehe, that's all for wedding updates today! Overall, I am quite happy with my wedding planning progress. :) Wedding blogs and Pinterest are my best friends in wedding planning, but it is really important to follow local sites to get a feel of the local vendors that best fit you. In my wedding research, I find that Wedding.com.my is really helpful! Based on its intuitive Pinterest-like layout, I am able to pin vendors that I am eying, and compare them easily. 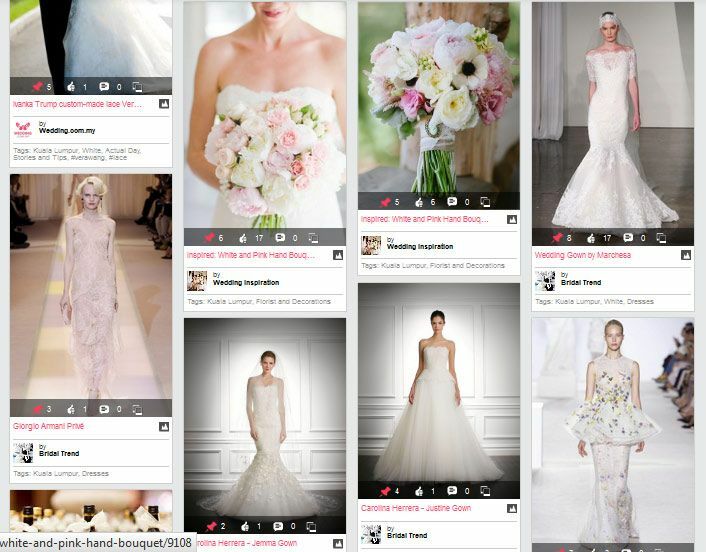 A screenshot of my Inspiration Board on Wedding.com.my. Also, as you guys already know, we are not doing our pre-wedding shoot this year. BUT BUT BUT, it's awfully tempting to, especially with this awesome contest on Wedding.com.my! PS: Will blog about my wedding dress soon! And my wedding shoes! The most exciting parts of a wedding, haha.